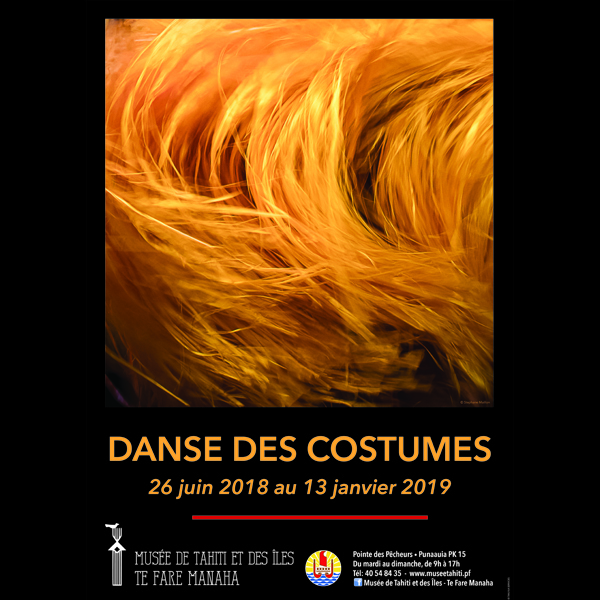 This exhibition invites you to discover the creativity of the artists who create every year the costumes for the Heiva i Tahiti, a dance competition (‘ori tahiti) which is celebrated since 1885 every year during July. 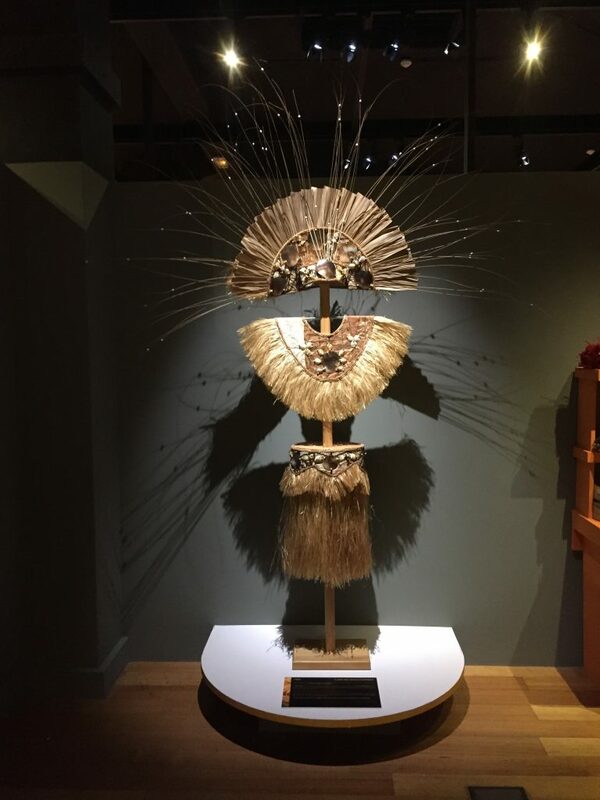 The eighty-seven costumes presented in the exhibition are made out of dried plant material, most of them had been used during the Heiva, and some had been awarded with a prize for the most beautiful costume. 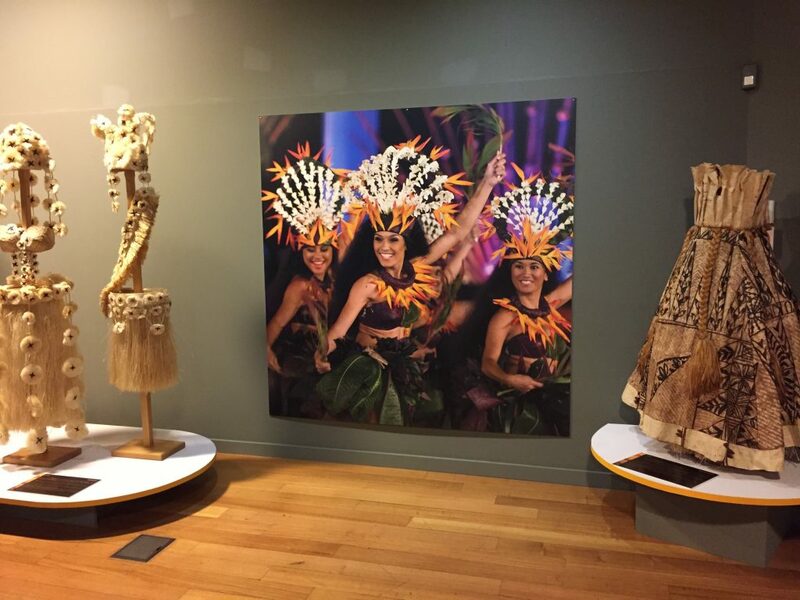 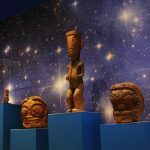 The eight costumes presented at the entry of the exhibition had been donated to the Museum of Tahiti and the islands by particulars; they represent our historic collection. 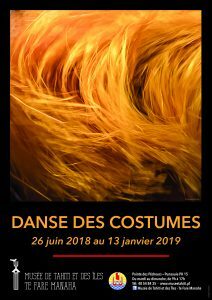 They allow you to discover the particular style of every dance group. 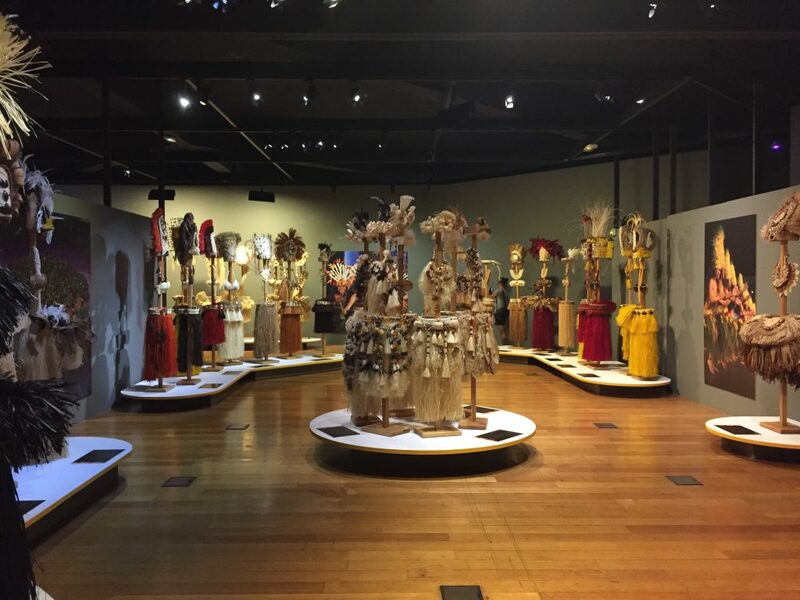 The whole collection is a demonstration of artistic talent of those, who create every year, in using dried plant material, costumes of great originality, nevertheless always connected with the theme of the show.In the exhibition the costumes are arranged in assembling a variety of costumes of the same dance group. 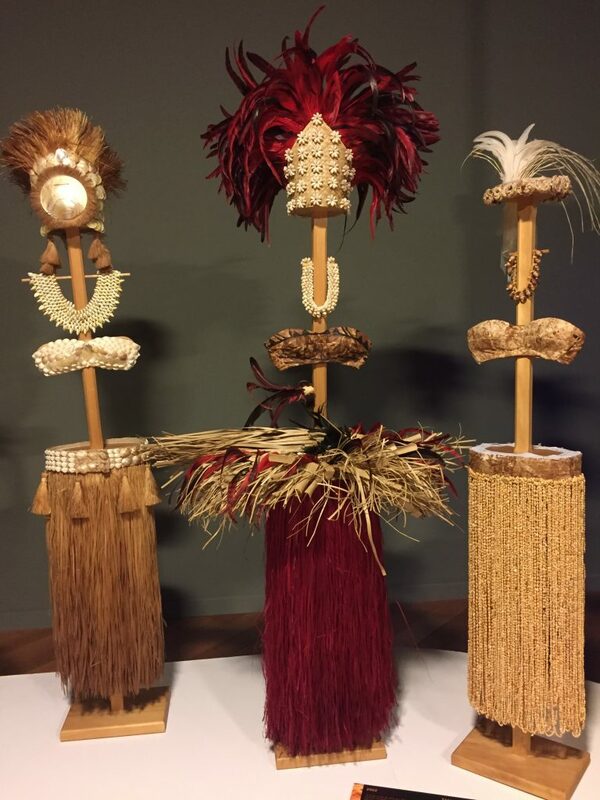 This arrangement allows you to discover their particular style as well as their artistic creativity. 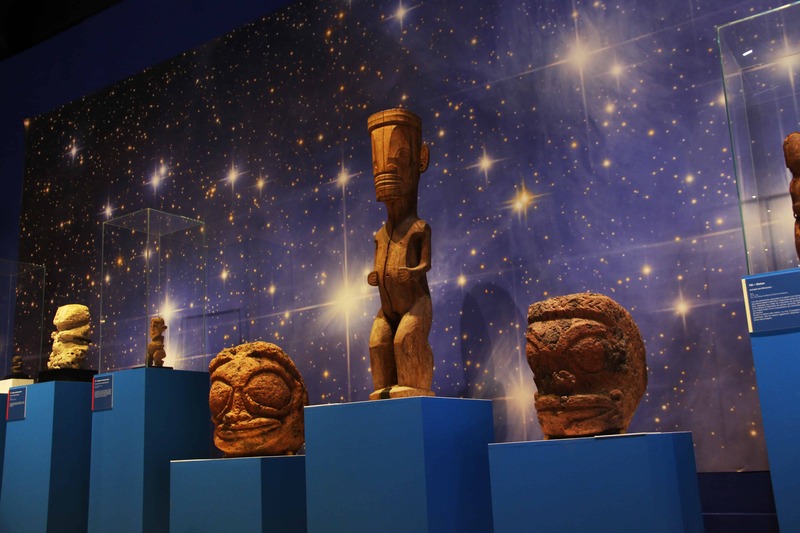 In setting up this exhibition, the Museum of Tahiti and the islands wants to honor all the participants of the ‘ori Tahiti, their talents and their creativity, proof of a vivid culture, ever adapting to times, contexts and foreign influences. 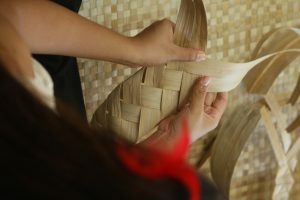 Opening :from tuesday to sunday 9 am to 5 pm.